Taking a private taxi from Paro to Chele La pass costs about BTN 3,000 return trip. And there are very few taxis that will have shared rides to the pass. 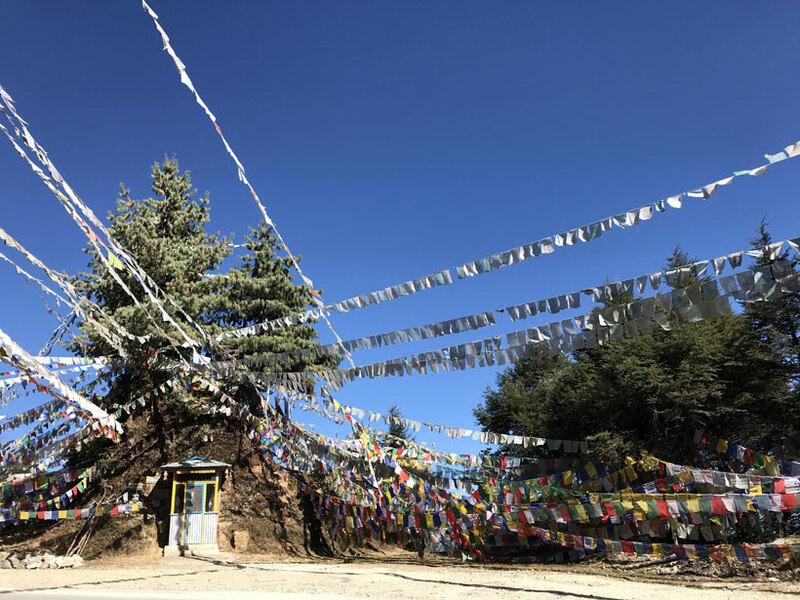 After asking a few taxi drivers at the taxi stand in Paro, I called the taxi driver who drove me from Paro to Thimphu on day one (I had taken his contact number). He settled in for BTN 2,000 return after some haggling. A 1.5 hour drive south from Paro will bring you to this popular destination called Chele La pass. 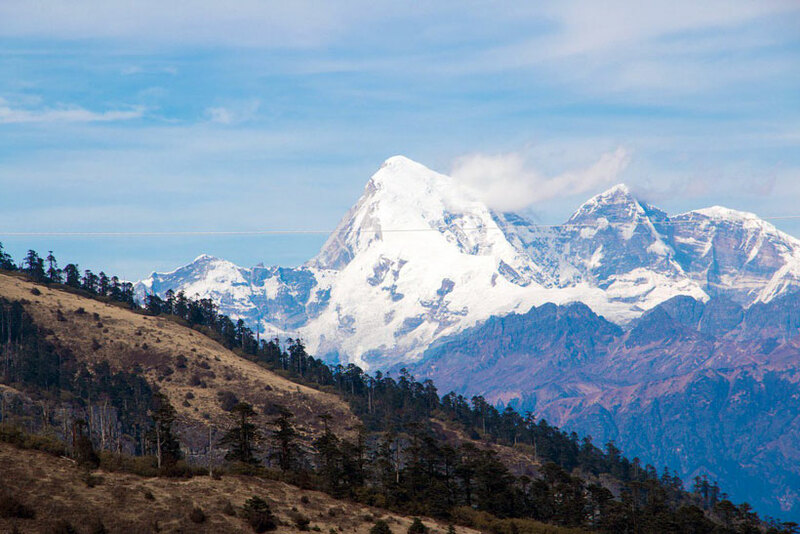 The drive to Chele La is 40 kms and is through dense spruce and larch forests and depending on the season, you will encounter various sights such as frozen river, waterfall, rhododendron forest and yaks grazing peacefully. 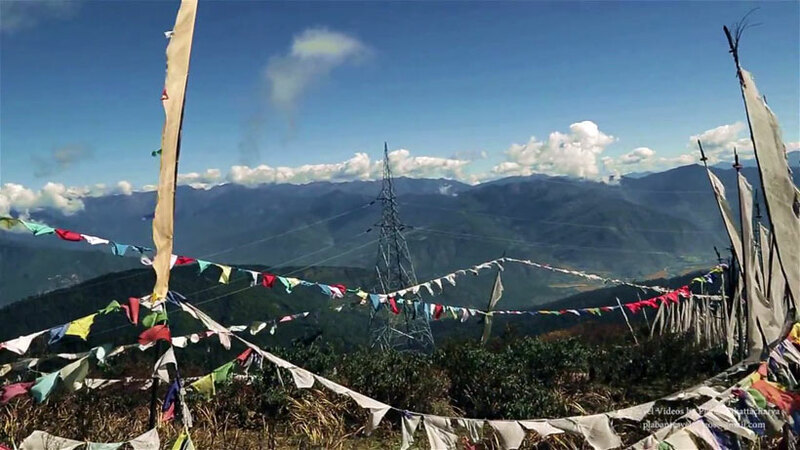 I reached there on a clear day, and I could see Bhutan’s most sacred peak, Mt. 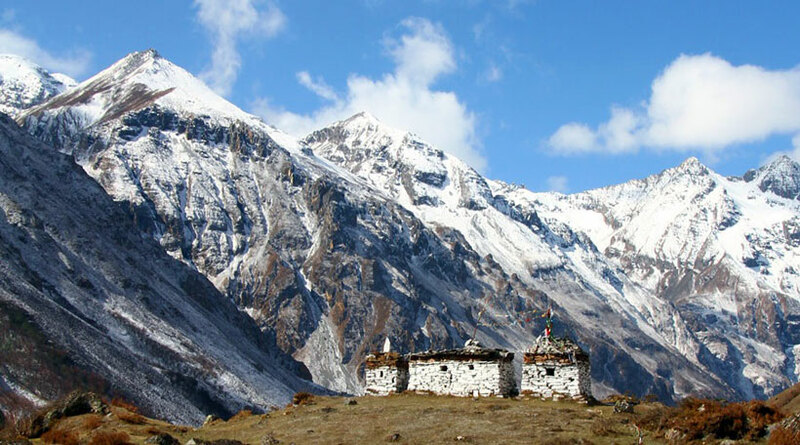 Jomolhari (Bhutan’s most sacred peak at over 22,000 ft) along with Jichu Drake and adjoining peaks to the north west, as well as the view of both the valley (Paro and Haa). 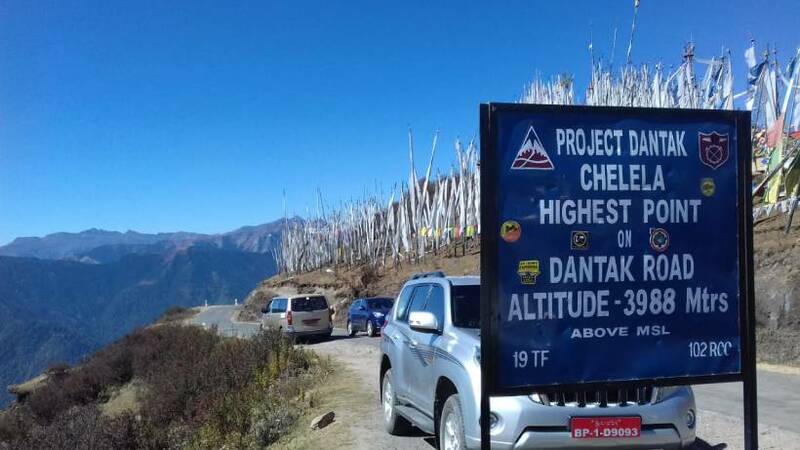 Chelela Pass altitude is 3,988 meters, making it the highest motorable road of Bhutan. The surrounding area of this pass has several ancient trails and numerous untouched forest regions which makes this place the ideal spot for all the hikers. 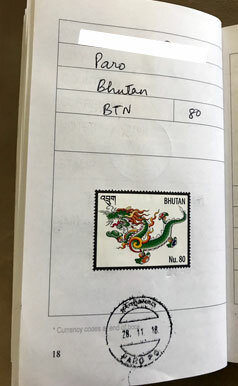 I hiked a bit around the mountains and returned back to Paro around 3pm, and headed to the post office to get a stamp in my Postal Stamp Travelogue book. Relaxing evening and a dinner at the hotel I was staying at was all I needed to wrap the day! Taxi $28.16 BTN 2,000 return from Paro to Chele La pass. Lunch $1.70 BTN 120 at mountain-side cafe. Post Office Stamp $1.13 BTN 80. Dinner $2.53 BTN 180 at Hotel Phunsum.